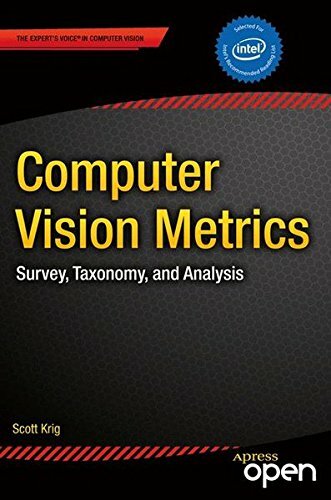 Provides an extensive survey and analysis of over 100 current and historical feature description and machine vision methods, with a detailed taxonomy for local, regional and global features. This book provides necessary background to develop intuition about why interest point detectors and feature descriptors actually work, how they are designed, with observations about tuning the methods for achieving robustness and invariance targets for specific applications. This book is written to provide an introduction to intelligent robotics using OpenCV. It is intended for a first course in robot vision and covers modeling and implementation of intelligent robot. Written for student and hobbyist. Nearest feature classification for face recognition, subspace methods, a multi-stage classifier for face recognition undertaken by coarse-to-fine strategy, PCA-ANN face recognition system based on photometric normalization techniques, etc. The book comprehensively covers almost all aspects of stereo vision. In addition reader can find topics from defining knowledge gaps to the state of the art algorithms as well as current application trends of stereo vision. These are notes on the method of normalized graph cuts and its applications to graph clustering. I provide a thorough treatment of this deeply original method, including complete proofs. The main thrust of this paper is the method of normalized cuts.